Over 100 years ago, the Wright Brothers made history in North Carolina when they made and flew the first successful airplane at Kill Devil Hill near Kitty Hawk. While I’m pretty sure that they didn’t have insurance when they launched their first-of-its-kind air vehicle, most bold travelers and commuters in North Carolina today are driving cars, trucks, and vans, not airplanes. To drive one of those vehicles on the roads in The Tarheel State today, you’re going to need car insurance. 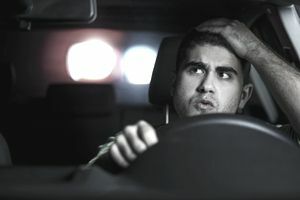 Each state, including North Carolina, has its own set of rules and penalties for drivers caught driving without car insurance. Please remember though, it is not the state fees or penalties that you should fear: Its being in a car accident without insurance coverage. The financial responsibility of covering the costs of a car accident would be crippling for most people. Hopefully, you are just here to check out the state fees so I'll get right to it. If your insurance company fails to renew your policy, or if you have a lapse in coverage, your North Carolina insurer is required by law to notify the DMV. You will then be sent a notice to which you must respond within ten days. If there was no break in coverage, you must let the DMV know. If there has been a lapse in coverage, you will be required to show proof of new insurance and pay an assessed penalty within the ten days or you will be subject to loss of your license plate. Penalties are assessed according to the number of lapses in coverage on your vehicle within the last three years. $150 for the third and subsequent lapses. A driver involved in an accident who does not possess proper insurance coverage at the time will have his license suspended. The suspension will remain in effect for one year, after which the driver must provide proof of insurance. The uninsured driver will also receive three points on his or her driving record.